Lieu Thomain Baltazar is a high DG Charley son out of DKR Pepper Birdee, and is bred by Diamond Genetics France. Birdee again is a Pepper x O-Cosmopolitan out of the Sunnylodge Prelude Spottie family. This family has been tremendous in transmitting high genomics cows and bulls generation after generation. Several family members have been in the top 5 GTPI/RZG of Europe or the World! And Baltazar is following in their footsteps, he is the new #1 NTM bull in the Scandinavian index system with +37 for NTM! The thing that makes him so special is that he is testing high on several systems with as well +4536 GICO (#20 GICO bull / Spain), +199 ISU in the French system and +329 gNVI in the Dutch system! You can get a piece of this family in to your barn now through this top star bull of Ascol and AI Total. 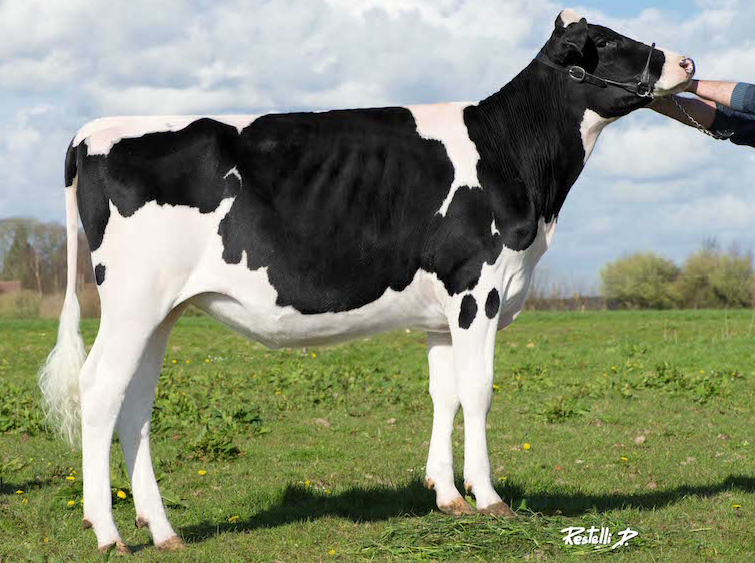 * Dam of Baltazar #1 NTM +37 | #20 Gico (Domestic) +4536 | +199 ISU | +329 NVI!! 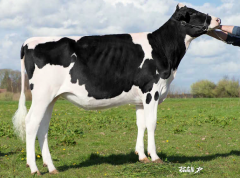 To contact Drakkar Holsteins / DG France, click here or use the following contact information.